UPDATE: SpaceX successfully launched and landed its Falcon 9 first stage rocket after deploying its ORBCOMM payload into low-Earth orbit. 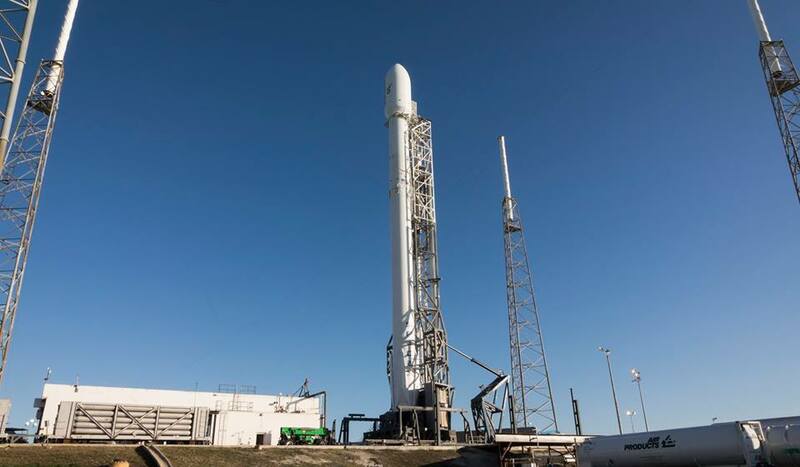 CAPE CANAVERAL, Florida - SpaceX will resume launches and attempt a ground landing of its Falcon 9 first stage rocket on Sunday, December 20, 2015, at Cape Canaveral Air Force Station in Florida. The 60-second launch window opens at 8:29 p.m. Eastern Standard Time. A backup launch opportunity is available on Monday. The new and improved Falcon 9 rocket underwent a static fire test at Space Launch Complex 40 on Friday and SpaceX engineers have been reviewing the data from that test. Both the static fire test and launch had been pushed back a day. A cold front moving across Central Florida brought gusty winds to the the Cape on Friday night and Saturday. According the U.S. Air Force 45th Weather Squadron, those winds should weaken in time for Sunday's 8 p.m. launch. Launch weather is forecast to be 90% 'GO' on Sunday. This will be the first SpaceX launch following the explosion of SpaceX's Falcon 9 rocket over Florida back in June. In addition to a resumption of SpaceX launches, this will also be the first time SpaceX has attempted a ground landing of the Falcon 9 first stage rocket during an orbital mission at SpaceX’s Landing Zone 1, formerly known as Space Launch Complex 13, a Cold War-Era U.S. Air Force rocket and missile testing range last used in 1978. If all goes as planned, the Falcon 9 landing will also mark the first time that any reusable part of an orbital mission launch has landed on Florida's Space Coast since the retirement of the Space Shuttle program. The test would also mark the first time in history an orbital rocket has successfully achieved a land landing. Just as when the Space Shuttle returned from space, there is a possibility that residents of northern and central Brevard County may hear a sonic boom during landing, SpaceX advised in a media release. A sonic boom is the thunder-like noise a person on the ground hears when an aircraft or other type of aerospace vehicle flies overhead faster than the speed of sound. Florida Space Coast residents in Cape Canaveral, Cocoa, Cocoa Beach, Merritt Island, Mims, Port Canaveral, Port St. John, Rockledge, Scottsmoor, Sharpes, and Titusville are mostly likely to hear a sonic boom, although what residents experience will depend on weather conditions and other factors.